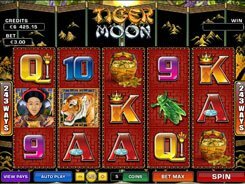 Developed by Microgaming, Tiger Moon is a China-themed 243 ways to win slot that is played over 5 reels. 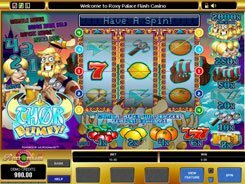 There are no payline patterns in the game, and winning combinations are built up by identical icons that occur on the reels side by side starting from the first reel. A wager comes in a range of $0.3 to $37.5 per spin. 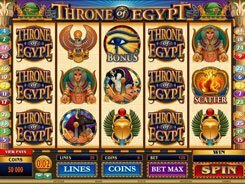 Along with a traditional nine-to-ace set of poker cards, the slot features themed symbols, such as a bucket of coins, a green insect, a princess, a prince, a Bengal tiger and a Chinese coin. The last is a wild symbol that substitutes for ALL symbols including a scatter which in this case is the Bengal Tiger. 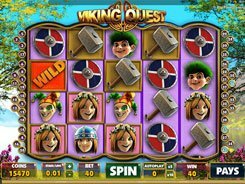 Three or more scatters activate 8, 16 or 24 free spins with a changeable multiplier. 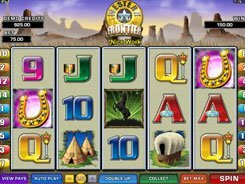 Whenever a wild symbol appears on reel #2 and is involved in a winning combo, a respective payout for that combo comes with a multiplier of x4. If the same occurs with a wild being on reel #4, than a multiplier of x5 will apply. If the wilds appear on reels #2 and #4 at a time, both contributing to a winning combo, you are awarded a win multiplied by a hefty x20.